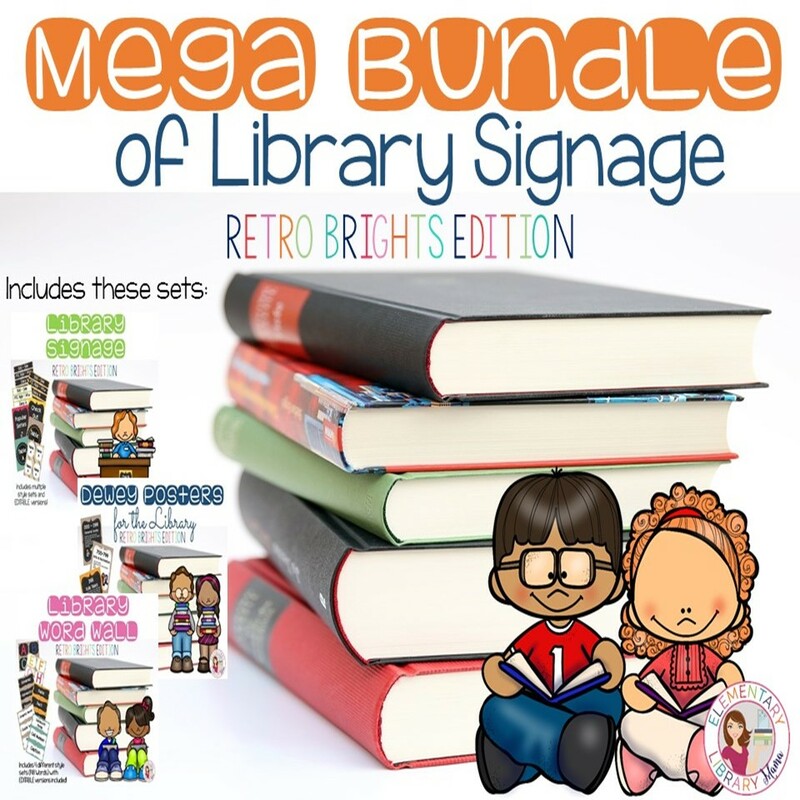 New School Year, New Signage for your Library Media Center! 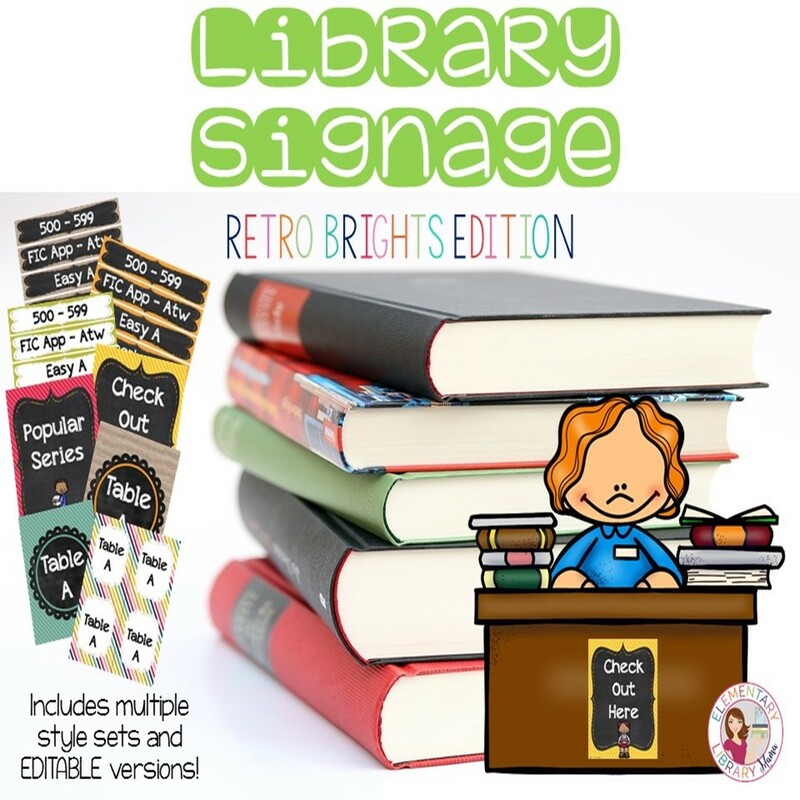 I really wanted to update my library signage so I made that a priority this summer. I LOVE Megan Favre's store I Teach. What's Your Superpower? and all of her cute digital papers and accents. 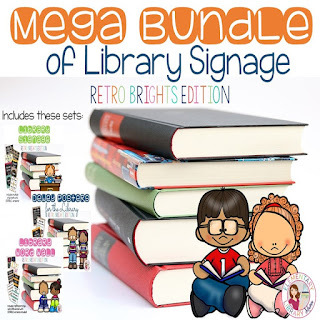 I particularly loved her "Retro Brights" bundle and decided to use this color scheme in my new library signage products that I just posted over the weekend. 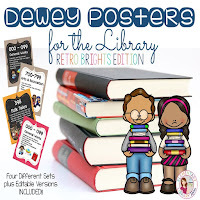 I think they're perfect for an elementary library, but not so overly sweet that it would turn off my "too cool for school" 5th graders. 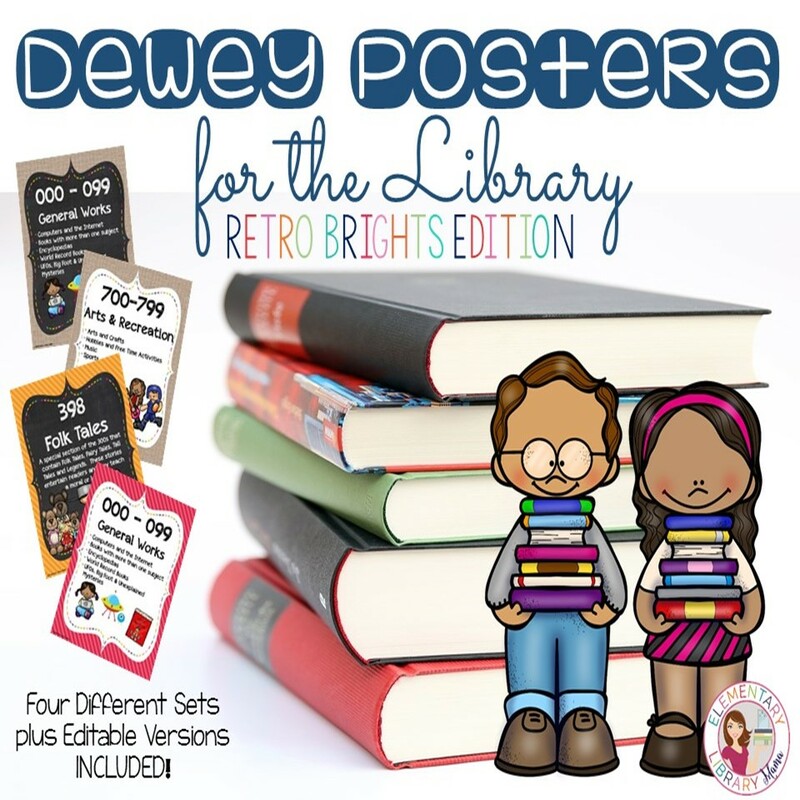 They come in 4 different styles and I have included some editable versions too! 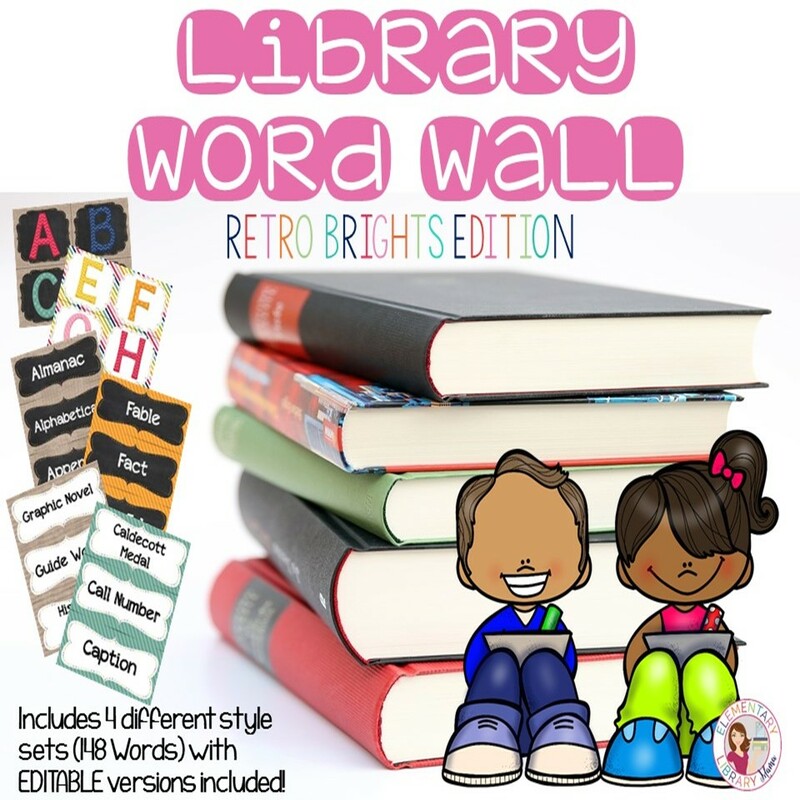 This comes with 148 different library terminology along with editable versions that you can use to add your own words. 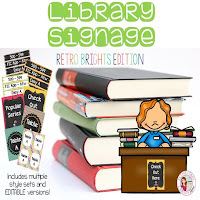 There are templates for table signs, shelf signs and much more! Did I mention that these are editable? Mix and match these if you'd like! You're all set for a fresh new look for your library! 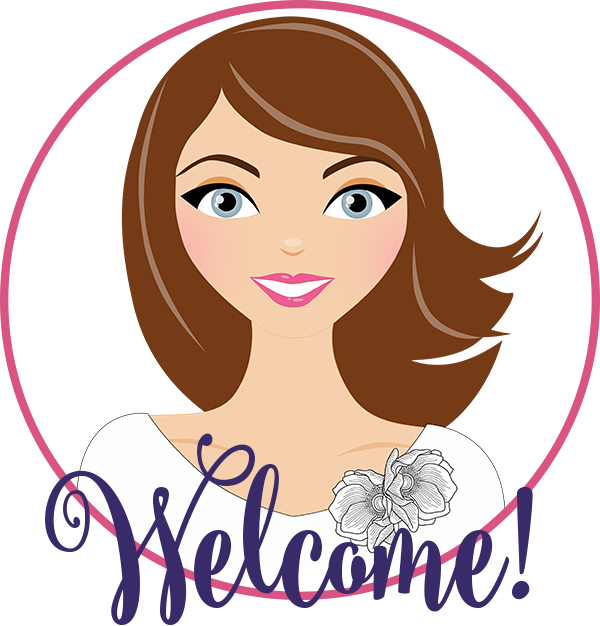 Cheers to a new school year!